One in every three women is infertile but the causes of infertility vary. One of the most common causes is poor egg quality decreasing the chances of your eggs developing into a baby. You can still get pregnant but poor egg quality can make things more difficult. Thanks to modern technology, more and more options are becoming available to women who want to conceive. Your eggs must respond to hormones in order for ovulation to start. Before your eggs can produce an embryo, they must be fertilized and cell divisions must begin. Internal issues such as production and chromosomal problems can prevent you from producing healthy embryos. Tests can be done to determine the quality and quantity of your eggs. Follicle-Stimulating Hormone (FSH) tests are completed to detect your levels of FSH. If they are low, specialists can prescribe fertility drugs (like Clomid) to increase your eggs’ quality. The ovarian reserve test reveals your remaining egg supply. Although males produce more sperm, females cannot produce more eggs. You are born with a specific number of eggs that does not increase over the years. Do not be under the misconception that if you have a lot of eggs you will become pregnant. That is not always the case. Remember that the quality of your eggs is just as important as the quantity. Age plays an important factor in the quality and quantity of your eggs but it is not always the deciding factor. For instance, a woman who is 25 can have poor quality eggs and a woman who is 45 can have good quality eggs. This is rare, but it is not impossible. Do not let your menstrual cycle determine the quality of your eggs. Even though your menstrual cycle comes each month – on time – that does not necessarily mean you have high-quality eggs. It is also a myth that your eggs are only lost during ovulation. In fact, more of your eggs will be lost due to degeneration than ovulation. Even though you have poor quality eggs, you are still able to get pregnant. There are also options available to you and your partner in the event that you do not get pregnant. 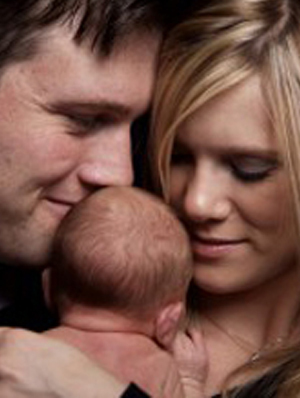 One option is In Vitro Fertilization (IVF). During this procedure, your eggs are fertilized outside of your body before they are planted into your uterus. Alternatively, if your eggs are of poor quality, you can choose a donor who has a better quality of eggs, which can increase your chances of pregnancy.